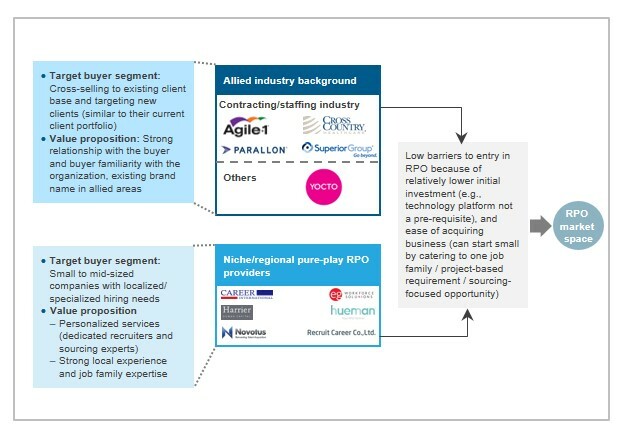 The global Recruitment Process Outsourcing (RPO) market continued to remain one of the fastest growing single-process HRO markets. It grew at a rate of 16% in 2016, backed by strong growth in Europe, Middle East, and Africa. A majority of the global growth is attributed to new deal activity. However, there is significant variation in regional growth, which is affected by a host of factors including the overall macro-economic variables. The mature market of North America saw a decline in its market share, with the emerging markets of Eastern Europe and Latin America gaining at its expense. The biggest growth was seen in deals outside the mature markets of the United States, United Kingdom, and Australia. 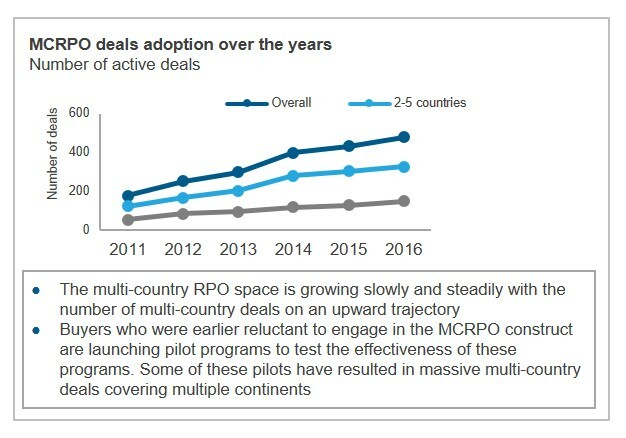 Many countries in different regions across the world are emerging as strong RPO markets on their own, particularly in Latin America, Continental Europe, and Asia Pacific.